At Home in Martinique A tiny slice of heaven and one of the French Caribbean Islands, Martinique is an ideal tourist destination, with its charming blend of quaint fishing villages and effervescent urban developments. From kitschy reasonably priced guesthouses to large high-end resorts, Martinique has something for everyone. Islanders wear the latest Parisian fashions and eat croissants, while Zouk music pours out of tape recorders on the streets. Pubs and nightclubs are a strong reflection of the thick culture of Martinique, which is based on West Indian Creole traditions. The economy of Martinique is dependent on the banana, sugarcane, light, and tourism industries. Agriculture accounts for almost 10% of the GDP, while the smaller industrial sectors account for about 11%. Over the years, the production of sugar has greatly declined, as most of the sugarcane is being used for rum production. Bananas are being increasingly exported, and are mostly sent to France. A major portion of vegetable, meat, and grain requirements are imported, creating a trade deficit, which calls for large transfers of aid from France every year. The tourism industry is a major employer, employing more than 11,000 people. Since 2002, the Euro has been the official currency for all the French Overseas Departments, Guadeloupe, Réunion, French Guiana, and Martinique. However, U.S. dollars are also accepted in some areas. Many tourists return each year, lured by the heady combination of beaches, quaint villages, and small-island charm. As for property investment, stylish does not necessarily mean expensive. Over the years, the Caribbean island of Martinique has welcomed immigrants buying businesses as well as homes, especially French real estate agents who do not speak good English. Martinique Real Estate is favorable when compared to other well-developed Caribbean islands in the region. There are no implicit risks involved in investing here, as compared to the other smaller autonomous islands in the eastern Caribbean region. Martinique is probably the safest Caribbean real estate investment, coming close to or better than the U.S. or the Dutch Caribbean islands that have better local governance. For instance, a stunning, private five bedroom villa, with full private access to the Atlantic Ocean as well as beaches, having a large swimming pool, or on the borders of the Martinique Regional Park, or a villa having fabulous views across the bay would sell for not more than US $1,000,000. Studio apartments with terraces start at about $47,000. In the sleepy western part of the island, new age Creole-style villas with verandas start from the mid-$100s. In exceptionally good condition, a duplex house with an upper or a lower terraced verandah would have about 3,000 square feet of land. 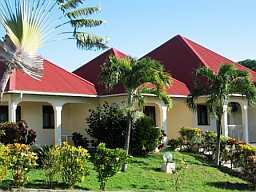 In the southern part of Martinique, you will find small villas with pools for about $145,000. Martinique real estate is definitely affordable – you will never find such prices in France’s Normandy or Provence. For those who are looking to start a tourist business, such as a guesthouse or bed and breakfast, a small three bedroom Creole-style home, or vacation villa just 200 feet away from the beach, will cost you about US$ 886,000. This is an excellent Caribbean real estate investment opportunity. The planning laws in France are extremely strict, and this is one of the biggest reasons as to why you should invest Martinique real estate – land that has been set aside for farming or environmental purposes will always remain reserved. There are fixed rules when it comes to the size of property you can build on a piece of land, but these laws change from city to city, and from countryside to countryside. Strict adherence to these rules and regulations will ensure that your neighbors are unable to encroach upon your land, or ruin your view or that of your guests. French taxpayers are able to buy newly made homes and benefit from certain défiscalistionlaws that reduce their tax bills for several years. Even though there is really nothing to stop tourists from buying apartments that are advertised as défiscalistion,there is still no advantage until and unless you are paying French taxes. 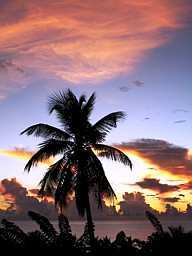 All in all, settling down, or buying and selling property in Martinique is a good idea. If you are fond of all things French, but just can’t deal with the overcrowded beaches of southern France, then there is a tiny slice of France hidden away in the Caribbean to satisfy your sun-loving inner Francophone. 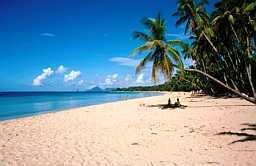 It is the Caribbean Island of Martinique! Martinique Activities, Dining and Entertainment Being a one of a kind tourist destination, the Caribbean Island of Martinique is known for its variety of recreational activities, especially water sports. Swimming, snorkeling, spear fishing and water-skiing are all just a few activities that visitors can try out. 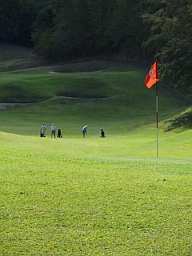 In your leisure time you can either take up golf or tennis, or go hiking or horseback riding. For those that love to unwind after a hectic day of sightseeing, nighttime entertainment might prove to be a tad bit expensive. Martinique is more known for its clear starlit skies and serene nights rather than the underground hip-hop, rap nightclub scene. However, there are nightclubs that are scattered all over the island. In addition to nightclubs, there are casinos, piano bars and theatre cafes that host a variety of dance and musical performers. Some of the bigger resorts and hotels host live entertainment nights and have in-house bars. Martinique Climate The Caribbean Island of Martinique boasts a coastal tropical climate. An easterly wind, known by locals as ‘Alize’, blows in from the Azores anticyclone towards this island. During summers, temperatures rise to about 82.4°F – 84.2°F. The year has two main seasons. The first is the dry season is known as Lent, and starts from December and ends in May. 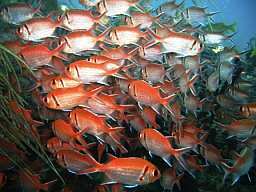 The second is the wet season, which is also known as the ‘wintering’; it starts in July and ends sometime in October. Martinique Location and Travel Situated in the Caribbean Sea, Martinique is located just north of the Caribbean Island of Trinidad and Tobago. With its mountainous terrain and indented coastline, the topography rises gradually from the coast to the center of the island. The north end of the island sees the two peaks of Mont Pelée and Carbet. The island is famous for its thick, dense rainforests. Towards the center of the island lies the Lamentin Plain, which is made up of smaller hills and enclosed valleys. 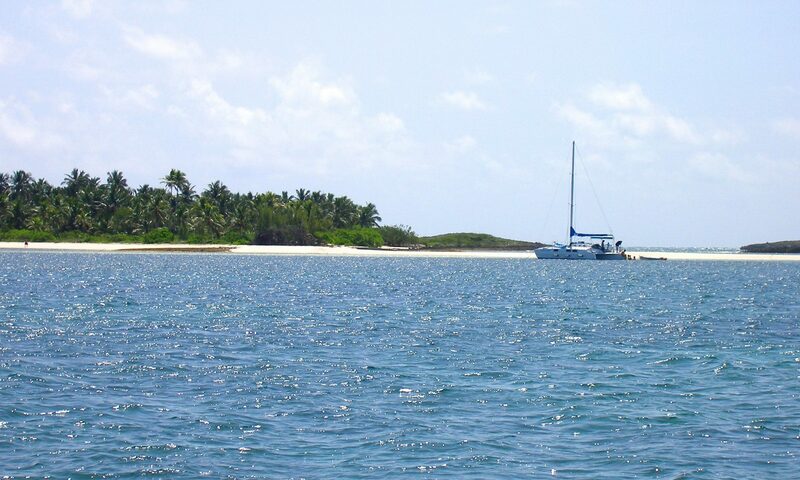 At the southernmost tip of the island is the Salines Beach. Martinique, like most of the other small Caribbean Islands, has no railways. France has the best air access to Martinique. The airlines that serve Martinique are Air France, BWIA, Air Canada, and Air Jamaica. Lamentin Airport is the international airport. Within the island, bus service can be quite irregular, but offers a cheaper option when compared to rental cars and taxis. Travelers who wish to explore the whole island should definitely opt for rental cars. Martinique has several breathtakingly beautiful sights that are definitely worth seeing, so renting a car would be the most efficient as well as the most cost-effective option. In Martinique, the right side of the road is used for driving and using seat belts is mandatory by law. Taxi services are efficient, and when it comes to non-metered taxis, negotiating is part of the fun. Ferries are the best way to travel from island to island. Sea travel is another exciting way of reaching Martinique. Ships are also used to visit the surrounding islands. Scooter and bike rentals are also different ways to explore the island. Martinique Culture and History Christopher Columbus first discovered the Caribbean Island of Martinique in 1502, when he was on his fourth and last New World voyage. In 1635, the French colonized this beautiful island and forcefully ‘displaced’ the natives. Forests were cleared and replaced with massive sugarcane plantations. By the end of the 18th century, the booming sugar industry in Martinique made it one of France’s most valuable and productive colonies. In 1902, Saint-Pierre, the capital of Martinique, was completely destroyed when the Mont Pelée volcano erupted. 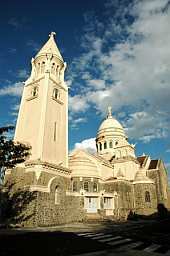 As a result, Saint-Pierre was no longer considered to be Martinique’s capital city. That status is now enjoyed by Forte-de-France. Over the years, France has made considerable and laudable attempts to improve the standard of living in the Caribbean Island of Martinique. Martinique has a unique and diverse culture, which can be seen in the French-Indian Creole traditions that are reflected in the island’s cuisine, customs, language, people and music. Although French is the official language, most of the natives speak Creole. However, English is also spoken in almost all areas. The cuisine is influenced by African, Indian, Caribbean, and French culinary delights. The present culture traces its roots back to the philosophical and literary movement ‘Negritude’, which formed in the 1930’s through the popular writings of Aimé Césaire, a native poet and the mayor of Forte-de-France. Martinique has a plethora of tiny museums, where visitors can learn about the island’s rich history and culture.